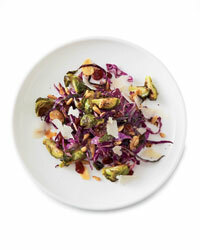 The first one I have tucked in my little binder is for roasted brussels sprouts with cabbage and pine nuts. It serves about 4 people. Preheat the oven to 450°. Spread the pine nuts in a pie plate and toast for about 3 minutes, until golden brown (watch them, they burn quickly--trust me, I know). On a large rimmed baking sheet, toss the brussels sprouts with 1 tablespoon of the olive oil and season with salt and black pepper. Roast for about 15 minutes, until the brussels sprouts are lightly caramelized and tender. My other, most favorite fall veggie recipe is also from Food & Wine. It's Maple-Ginger-Roasted Vegetables with Pecans. This is for 12 servings. You can also make ahead (sort of). 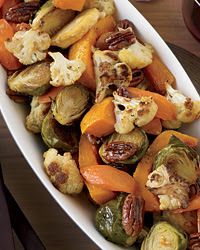 The roasted vegetables can be kept at room temperature for up to two hours before serving. 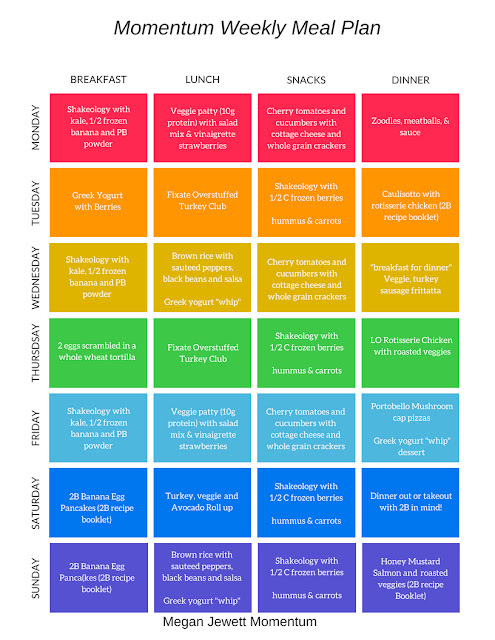 I hope you are making one of these dishes on Thursday! They both look delicious.